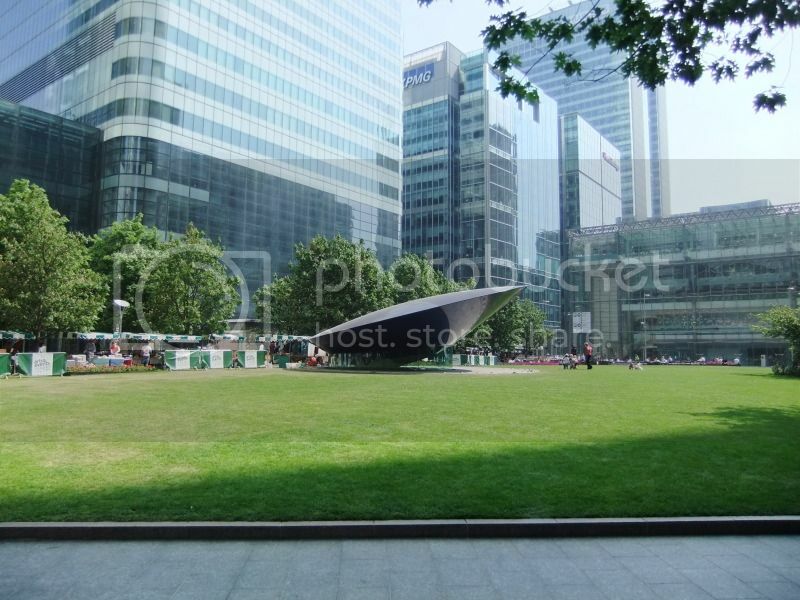 In Canada Square (Canary Wharf), there is a sculpture called “The Big Blue”, which serves as a piece of art and also forms part of the skylight of the shopping centre below. The sculpture is called “The Big Blue” because it is surrounded by a ring of blue lights that shine upwards and reflect off the curved underside of the sculpture. 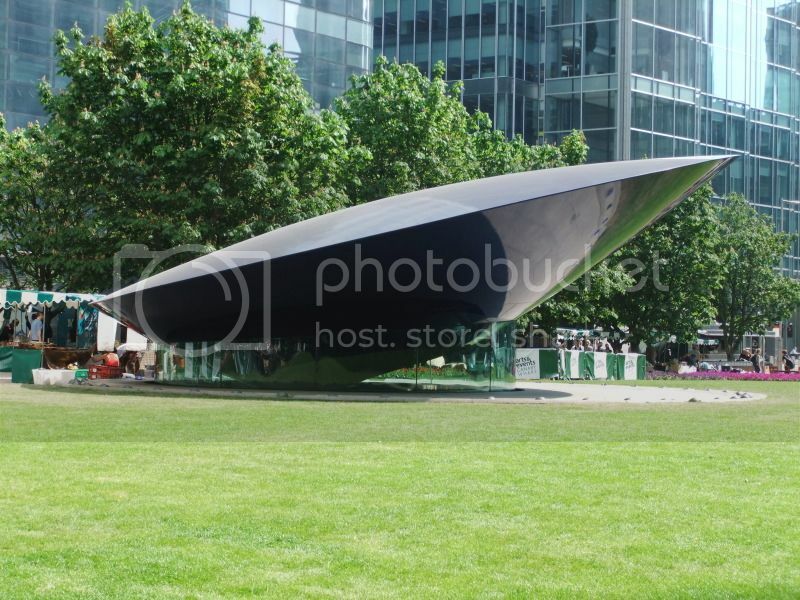 To most people’s eyes, the sculpture looks like a flying saucer which has had a bad landing in the square, and personally it reminds me of the alien craft from the family film “Flight of the Navigator”. These pictures have been featured on Andrew May’s Forteana blog, and I also sent them into the team at Fortean Times who said that even though they are based in London, that they had never heard of the sculpture before. Here is hoping that they publish the pictures in a future edition of Fortean Times.